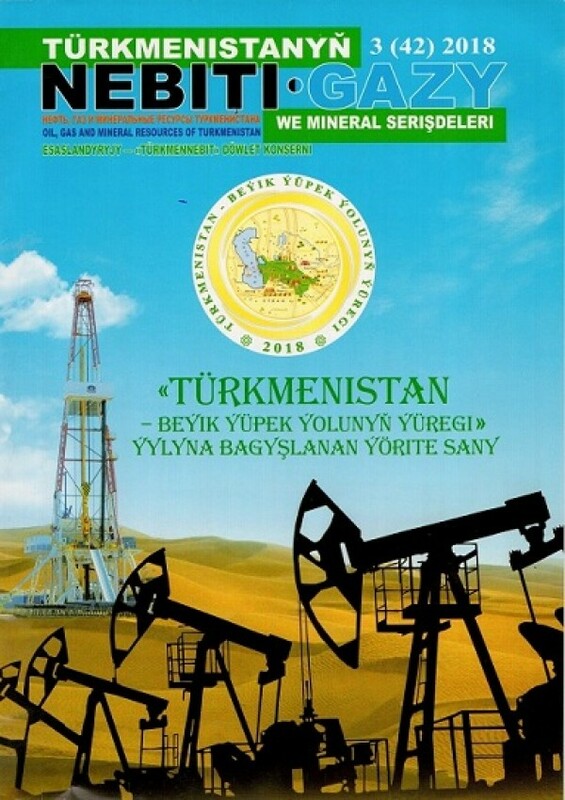 The third issue of the socio-political and scientific journal "Oil, gas and mineral resources of Turkmenistan" was published in 2018. The new issue of the magazine is dedicated to 2018, held under the motto "Turkmenistan-the heart of the great silk road". The first pages of the publication are devoted to the Working visits of the President of Turkmenistan to Tajikistan, Tatarstan and Kazakhstan. During his working visit to Tajikistan within the framework of participation in the international high-level conference devoted to the UN decade of action "Water for sustainable development, 2018-2020", the President of Turkmenistan met with the head of the Executive power of Afghanistan Abdullah Abdullah and with the President of Pakistan Mammun Hussein. During the meetings Gurbanguly Berdimuhamedov discussed with the leaders of these countries the implementation of the TAPI gas pipeline project. The pages of the new issue of the journal also cover other important international events in the life of Turkmenistan. In particular, some materials are devoted to the successfully completed in Turkmenistan international rally "Amul-Khazar 2018", the commissioning of a large industrial facility, the first meeting of the Hulk Maslakhaty and the participation of the President of Turkmenistan in the 73rd session of the UN General Assembly. The article "silk road-the way of energy and cooperation" refers to the role of our country in the history of the great silk road. In particular, it is told about oil production in the territory of ancient Turkmenistan, namely, about the mention of the ancient Greek geographer Strabo, who noted Cheleken as the place of oil sources. In the article "the Restored great silk road and oil and gas industry" the author writes about the role of this historical phenomenon in the political and economic life, including the oil and gas industry of Turkmenistan. The article "Energy expanses of the great silk road" is devoted to the implementation of international energy, transport and communication projects, which are designed to strengthen mutually beneficial trade and economic relations and cultural and humanitarian ties between Central Asia and other regions. This issue also includes articles on the Modern look of the great silk road and The great silk road – pipelines and corridors.